From my inbox (and continuing with an earlier post). Despite the attempts from team owners to play nice for the fans (Martha Ford even offered a bribe, er, I mean donation to the cause..exactly what that is, is anyone’s guess), NFL Players continue to act like ignorant tone-deaf buffoons. Stadium seats aren’t selling. Advertisers are pulling out. People are turning off their TV’s. Why not help to drive the point home? 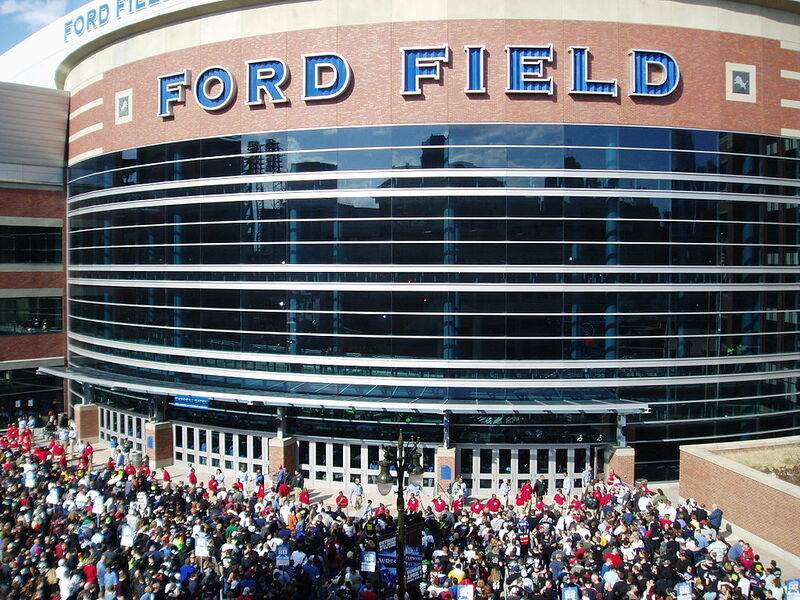 This coming Sunday, October 8th, starting at 10:30am at the Main Entrance, there will be a Boycott Protest in front of Ford Field, organized by Michigan Freedom to Work spokesman Brian Pannebecker. “The National Anthem, in 2017 is a unifying symbol of America, the greatest country in the history of mankind. These leftist agitators disrespecting the flag are trying to take that away from you by dividing us. Please don’t let them, – please show your support for the U.S. flag and ‘our’ National Anthem this Sunday, Oct. 8th, outside Ford Field in Detroit. We will be gathering at 10:30 near the main entrance to Ford Field to encourage fans to boycott the NFL until the league enforces its own rule calling for all players to stand facing the flag during the playing of the National Anthem. We have free “BOYCOTT NFL” t-shirts, and pre-printed signs to hold up as fans walk into the stadium. Media will be there covering the protest event, so this is YOUR chance to have your voice heard in support of America and the flag that so many have given their life to defend. Please make plans to come, and try to get 2-3 friends to ride down together to share the cost of gas and parking. If you can attend, be sure to RSVP on their FB Page linked above. ← A doer vs. do-nothing. Is this really a contest? Mrs. Ford, I have several causes which would gladly take your donations but obviously, you should be donating to getting Core Curriculum and all the psycho mumble-jumble out of our schools and universities. You are reaping the stupid is as stupid does which is begetting our country. And, I'm so proud that Americans are talking with their wallets. A silent effective protest. And thumbs down to Fox Sports for its decision to not air the National Anthem portion of games. No matter--no one will be watching.